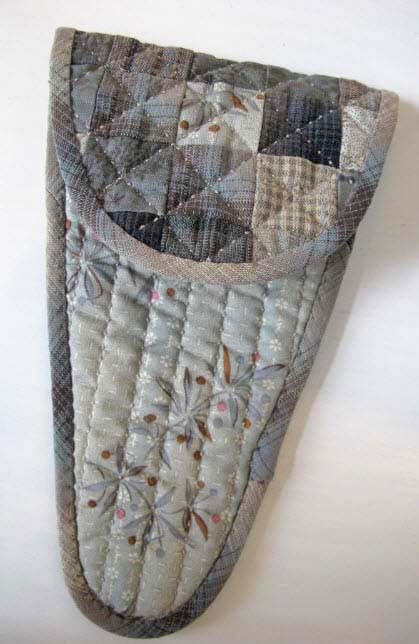 Quilting Basics: Is It Hand Quilted or Machine Quilted? Get the look of hand-quilting without all the handwork – using your sewing machine! The hand-look quilting stitch or mock quilting stitch creates the look of a hand-sewn running stitch without all the work. The secret? A special stitch and invisible thread! Wind the bobbin with the thread you want to see as the quilting stitch. Thread the bobbin normally. Thread the needle with monofilament thread. Choose clear or smoke monofilament depending on the fabric you are stitching on. Select the Quilt Menu (on most BERNINA models these stitches are found in decorative menu #1300). Select the Mock Quilting Stitch #1328. On machines with self-adjusting tension you will notice that the upper tension increases. For machines with manual tension, you will need to increase the upper tension beginning at approximately 4.5. Sew several inches as it takes a little bit for the machine to start forming the stitch. The tighter upper tension on the invisible thread pulls the bobbin thread up to the surface, which is why you want the thread you want as the visible quilt stitch in the bobbin. Be careful about tightening the tension too much as some monofilament threads may break easily. Stitch #1328 makes 6 stitches per inch. 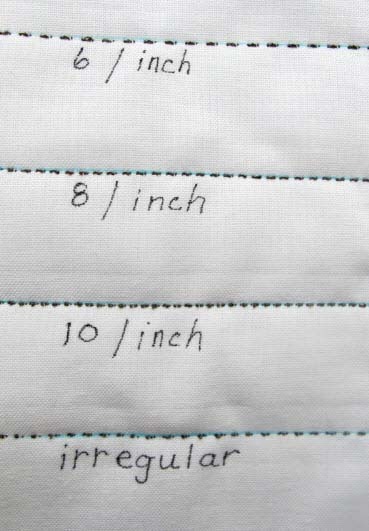 Depending on the machine you are using, there may be additional mock quilting stitches with 8 and 10 stitches per inch. There is even an irregular stitch in case you do not want perfect stitches! Would you like to make a scissors case like this one? The instructions are at bernina.com in the Experience section.